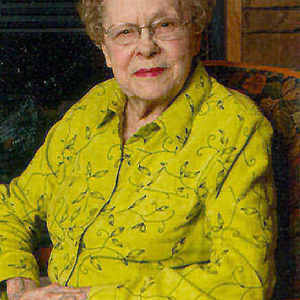 Dorothy Marion Doberstein 86, Wahpeton ND passed away Sunday, November 18, 2012 at St. Francis Health Care Center Breckenridge. The Funeral Service will be Friday, November 23, 11:00 a.m., at Vertin-Munson Funeral Home. Visitation will be one hour before the service at the funeral home. Interment will be at Fairview Cemetery, Wahpeton. Dorothy was born Nov 25, 1925 in Wahpeton ND, the daughter of Walter and Ebba (Olsen) Schmidt. She attended Wahpeton schools until leaving to work for the family business, Wahpeton Auto Parts. Later on she worked at the Leach Home. Dorothy was an avid pianist, and beautiful vocalist. Her true calling was playing organ for her church for thirty years. Her faith in God was relentless and her life showed it. Dorothy was blessed with three children: Mike (Darlene) Doberstein, Racket, MO; Pam (Brian) Quamme, Wahpeton, ND; Ted Doberstein , Schaumburg, Il; 7 grandchildren, Holly, Chad, Sasha, Adam, Breanna, McKenzie and Ayla; and 11 great grandchildren. She is survived by her brother, Dorval (Phyllis) Schmidt, Breckenridge, MN; two sisters, Leona Hanson, Spokane WA., and Ruth Pudgil, CA. She was preceded in death by her parents, three brothers Lawrence, Earl and Walter Schmidt Jr.; and two sisters, Mary Jean Cameron, and Connie Abraham. Memorials may be sent to the Riveredge Hospice.